For whatever reason, ever since I got pregnant, I've been wanting to crochet. I mean I was yearning to crochet. It was so weird! Honestly, I've never been super into yarn-ish crafts, though I have toyed around with them at different points-- knitting, crocheting, and even a feverish two months of using those dang Knifty Knitters to make all my Christmas presents (completed while binge watching all seven seasons of Gilmore Girls, I might add). So, while I've been adding plenty of baby items to my list of crochet projects, in typical me-fashion, I took a selfish approach to my first go back on the hook. 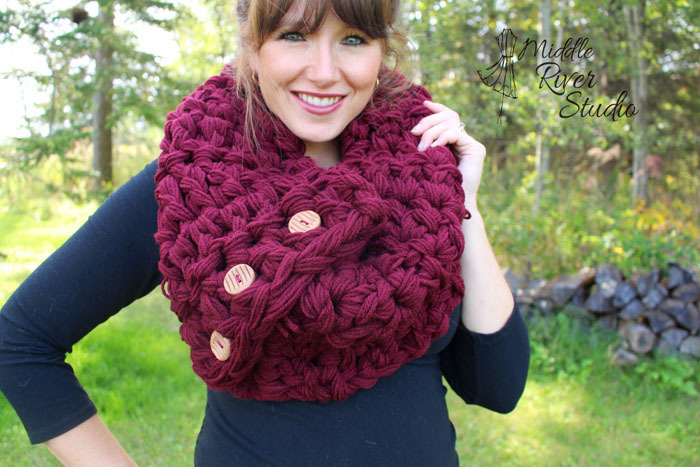 The end result was this ultra chunky infinity scarf, in this gorgeous burnt red-- perfect for fall! I was really excited to try something new and different, so I picked up this GIANT 25mm (size U) hook. I couldn't believe how big this thing was. I mean, look how big it is in my hand! 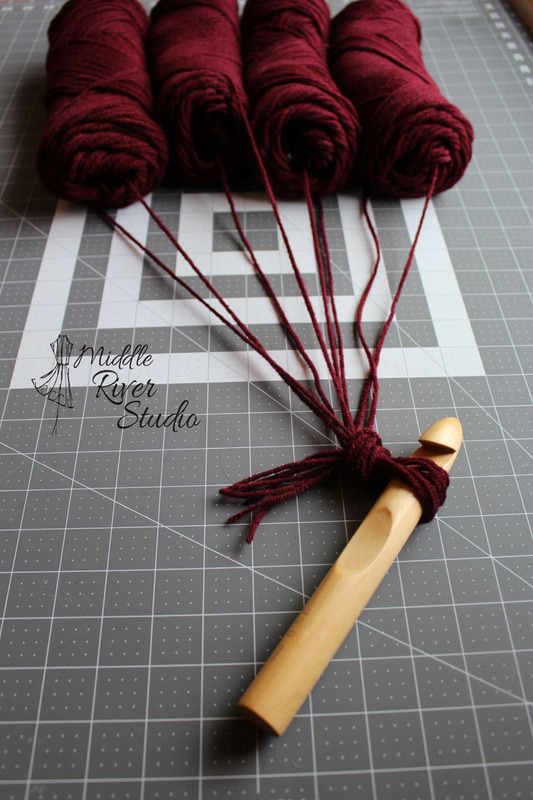 The size hook works great with t-shirt yarn and ultra bulky yarn (one or two or strands, depending on how thick your yarn is). But for this project, I worked EIGHT strands of the Red Heart Super Saver yarn. I used four skeins of yarn, and pulled from the outside and the inside of each one. Obviously, you need to be careful about not getting your strands tangled up, or you're going to have a big mess. I set my skeins up in this crate and gave my boys a serious talking to about what would happen if the crate was disrupted- ha! You also need to be careful that you're getting all eight strands when you pull through. I'd stop and count quite frequently when I felt like I missed a strand. If you happen to miss a strand, you'll end up with a large loop like this . . . I double crocheted the whole project. My finished scarf was 12 inches wide by 39 inches long. But the width was really rather large. I did 10 stitches wide, but you could easily get away with 6 or 7 (see the end of the post for all the specific details on creating it!). Because it's so bulky, you actually don't want it too thick, because it isn't very flexible/drapey. Because mine was so thick, I made it longer than what I was expecting. 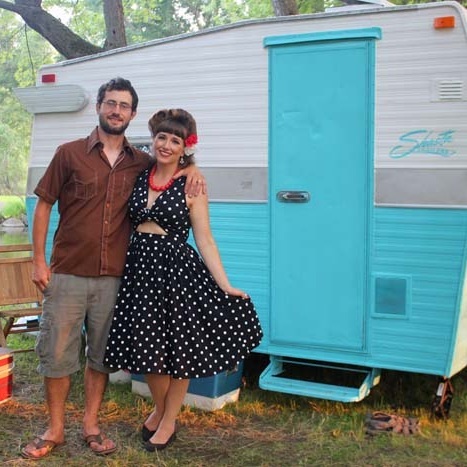 If you make yours a bit more narrow, you'll be able to get away with less length. Just try it on when you're getting close and you can decide along the way how long you want it! You could easily work the ends together to make it a true infinity scarf . . . But I love the addition of buttons to use as a closure instead. Choose buttons that are big enough to work with the size of your spaces between the stitches. I love how it turned out! The big hook means this project goes fast. Honestly, just like with sewing, I appreciate a project I can finish in an afternoon-- I love the immediate sense of accomplishment. 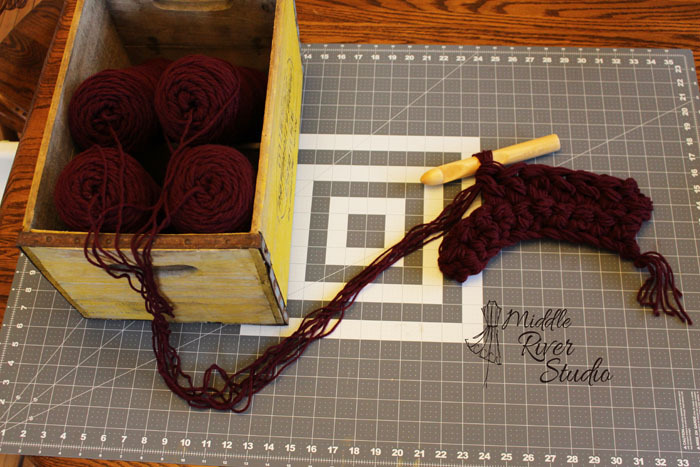 And since this is just made up of double crochet, it's an easy beginner project! Whether you're brand new at crocheting, or if you just need a crochet refresher I recommend a trip to YouTube. It's so easy to figure out when following along with the videos! For some intro videos, check out Simply Daisy (Part One on chain stitching and single crochet and Part Two on half double, double, and triple crochet). Here are all the dirty details on the project. I'm excited to try out my new hook on some new items this fall. Thanks for hanging around! Yarn over and insert the hook into the fourth chain from the hook, complete the double crochet. Double crochet each loop all the way to the end. Double crochet each loop in the row, beginning with the second loop (ie: skip the first loop). Continue until you reach your desired length. 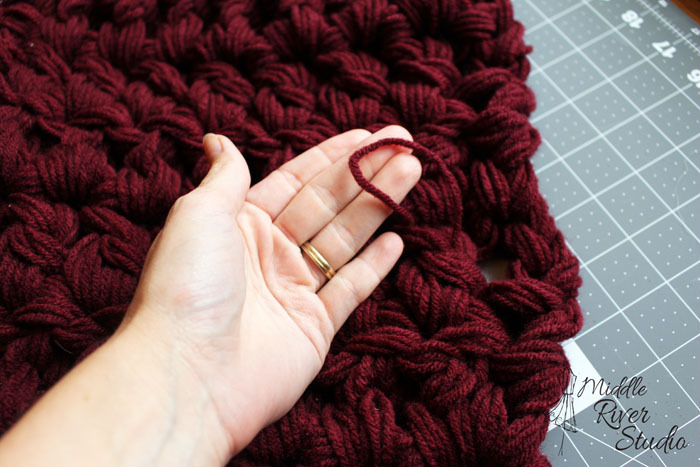 Sew the two ends together with extra yarn and a tapestry needle to complete the infinity scarf OR use coordinating thread and sew buttons onto one end of the scarf to fasten to the other end. As I mentioned above, you may want your scarf more narrow than mine. I'd consider only chaining 9 or 10 in the first step. Our First First Day of School!